Will President-elect Donald Trump Repeal the DOL Fiduciary Ruling? It Doesn’t Matter. 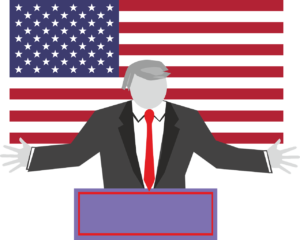 Since the shocking selection of Donald Trump to be the 45th President of the United States, there has been speculation in the financial world that his administration may repeal the DOL Fiduciary Rule set to be enacted on April 10, 2017. Some are saying that he will repeal it immediately, some are saying that he will extend the deadline and others are saying that he has too many other priorities to worry about the ruling. My position is that from a practical perspective, it doesn’t really matter. The mega ship has left the dock and to turn that mega ship around would be next to impossible. That doesn’t mean Trump can’t repeal the ruling, but it does mean that repealing it would have little impact on many intended consequences of the ruling. In short, you can’t repeal common sense and common sense is that a provider of financial services should recommend products that are in the best interest of the client. Also, given the focus that has been on this issue of late and the dramatic increase in lawsuits in recent years in the retirement business, a provider would have to be incredibly clueless to expect that doing anything other than acting in a client’s best interest would be prudent. Many of the country’s largest broker/dealers and wirehouses have already made announcements that essentially change the way they do business to prepare for the new ruling. It is doubtful that they would back off those announcements. Can you imagine the exposure if they backed off and went back to business as usual? There would be a red target painted on their chest for participants in retirement products to sue their employers over products that are provided by that entity. At TAG Resources, we have, since 2012, built products that were designed to put participant interests first and thereby reducing the fiduciary liability for their employer. Our advisors are comfortable with the ruling whichever way it turns out because it has little to no effect on them. With TAG, their fiduciary liability is reduced to the greatest extent allowed by law just like it is reduced for the employer clients they serve. So advisors who are not familiar with our product should investigate it and make appropriate decisions based on the features available to protect and assist the advisor, the employer, and the participant. This is true whether or not the ruling actually takes effect on April 10, 2017.